EURUSD started today with bullish bias trying to rebound from yesterday’s sharp fall. The support rests at 1.12600 with resistance at 1.12800 which both lines are above the monthly pivot point at 1.11070. The EMA of 10 is moving with bearish bias along the descendant channel and it is located above the EMA of 100. The RSI is moving below the 50 level, the Stochastic is showing upward momentum and the MACD indicator is in neutral territory. 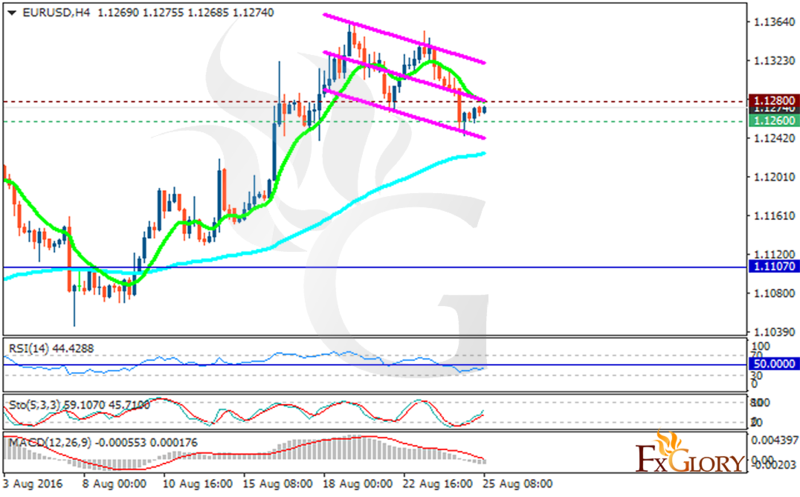 Due to the weak reports in the European area we stay bearish while the support level drops to 1.1210.